Twitter held an event in Dubai titled #SheTweets to highlight who the female Twitter user is in the Gulf region. Attended by key brands, agencies and publishers, the objective of the event was to shed more light on the Twitter female user’s unique mindset and how advertisers can effectively reach her. The two hour event began with a ‘Who she is’ presentation explaining, that in the Gulf region, women on Twitter are young and active mostly in Saudi Arabia and markets such as UAE and Kuwait. Findings from research conducted by Hall & Partners in June with female Twitter users in Saudi Arabia and UAE were shared during the event. The study revealed that women on Twitter, who are mostly working mothers (77% and 49% are employed in UAE and Saudi Arabia respectively, and more than half are mothers with 2 or more children) check the platform multiple times a day (1 in 2 check Twitter several times a day). 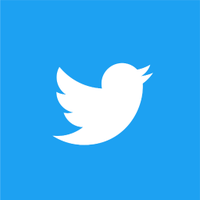 The research revealed that a large majority of women (73%) come to Twitter to see what’s happening both around the region and around the world, (60%) to follow public figures and (44%) to connect with brands. The research also revealed that more than half (53%) of women turn to Twitter to connect around their passions. Their passions shift with age, with conversations around fashion and style being popular at a younger age, while discovering content around cooking gains traction in their mid-20’s. As for video, 9 in 10 women consume video content and a large majority (86%) use Twitter while watching TV. To complement what they’re watching, 1 in 3 Tweet about what they’re watching, 1 in 4 consume content around what they’re watching and 1 in 6 both Tweet and consume content while they’re watching TV. Following the opening session, a panel discussion titled ‘Marketing to Women on Twitter’ was attended by both advertisers and publishers including Sue Nigoghossian @shoushigatwork, GM of Communications, Ford Middle East, Hazar Hafiz @hazarhafiz, Brand Manager, Goody Kitchen, Heba Al Samt @hebaalsamt, Digital Director, Dubai TV and Nour Al Masry @nrmasri, Head of Digital, Sayidaty. Our conversation with women on Twitter in the region has remained consistent over the years and recently has gained momentum since the Saudi women driving ban was lifted. We have seen an increase in female audience conversation and engagement through our campaigns compared to last year. For our brand, Twitter plays a crucial role in understanding our audience, since its all about what’s currently happening and engaging in conversation. And a lot of women use our platform on Twitter to look for creative ways to cook - which helps us streamline our content and further understand their sentiments. Two female-targeted case studies were presented by Kamala Ram @kamala_ram from PHD Dubai and Benjamin Schwatz @benjaschwartz from Nissan Saudi Arabia. The PHD case study showcased a TRESemmé campaign that had the objective to connect with women around their passions through live video connection. TRESemmé used Twitter’s live video product to broadcast fashion tips by Arab female content creators, which resulted in 3.4 million impressions and reaching 1.1 million women in Saudi Arabia. As for Nissan Saudi Arabia’s case study, the brand’s objective was to boost confidence to get Saudi women behind the wheel, positioning Nissan as a trusted brand. Through Twitter’s promoted video product, Nissan launched a campaign targeting Saudi women resulting in 900K+ video views and 30%+ video completion rate. Beyond the views and engagement rates, Nissan was able to create multiple touch points beyond the driving ban lift announcement, and stay top of mind with women in Saudi Arabia. A fireside chat took place with Saudi media personality Muna AbuSulayman (@abusulayman) who explained how she engages on the platform and finds value from it. The event concluded with a presentation by Elda Choucair @EldaChoucair, CEO, PHD MENA who shared her overall perspective and predictions around women and the environment they operate in. There are a lot of things women want to do on their own, and independently and the best way to market women is not to market to women. Progress is going to come, it’s only a matter of time - and the idea is that we use platforms like Twitter to voice our opinion and try and figure out who she is, as a complete person. We need to move away from stereotypes because all women are not the same.